With nearly one million international students attending American colleges and universities it is important to understand the risks facing this valuable population. Three forms of insurance are particularly important for international students to consider. Tuition insurance, renters insurance and student health insurance are each important to protecting international students while studying in the United States. International student health insurance - international students are often required to purchase student health insurance. Typically students can purchase an affordable plan through their college or university or if they prefer they can also purchase it directly through GradGuard. Tuition Insurance - If an international student becomes ill, injured or is forced to withdraw from classes mid-term, colleges and universities most often will only refund only a pro-rated amount of tuition and fees. As a result, it is prudent for international students to become aware of the institutions refund policy and to consider purchasing tuition insurance. Tuition insurance is affordable and valuable protection but remember it must be purchased prior to the start of classes. 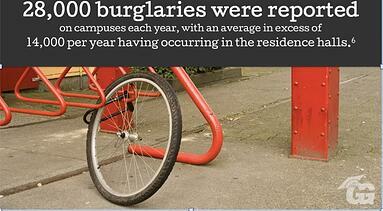 ackpack and many would benefit from the protection provided by renters insurance. For less than $.50 cents a day, international student can protect themselves from financial losses that they experience or are found responsible for.